The holiday season is right around the corner, and presumably many parents will be heading out soon to pick up the right smartphone for their teenager. I mean, what better gift can there be than a new iPhone or Galaxy 4? But which one should they get? 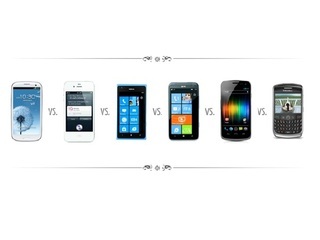 All phones have issues, whether it be with battery life, screen resolution or overheating. The trick is finding out which ones have the least problems, or at least ones that you can deal with. A new report from Fixya should help out in that department. The site has looked at four of the most popular cell phones released this year, and identified the most common complaints with all of them. As Fixya noted, the Galaxy line of phones is only three years old, but managed to sell 40 million Galaxy S4 phones alone this year "providing users with an excellent mobile device for consumers to seek out on the Android operating system." When it comes to problems, the community seems to be pretty mixed, with no one issue coming out far ahead of any others. 25% said that overheating, with battery life, which Fixya explains by noting that overheating it is actually becoming a more common problem, especially on the S4, because it uses a plastic build. Battery life and screen issues were both cited by 20% of those were asked. Issues with battery life are a pretty easy one to understand: the more stuff you run on a smartphone, the faster the battery goes. Its an issue that everyone deals with. As for screen issues, the phone has a darker display, which can make it harder to read text, look at bright pictures and run apps, especially games. Another 15% of respondant had issues with phone and texting as well on S4. With the Moto X, users were slightly more united on the defining problem with the phone, but not by much. This time the biggest issue that users had was storage space, with 30% of those asked saying it was the biggest problem. The phone has one of the "smallest amounts of storage space amongst competing smartphones," Fixya said. And there is not even a way to upgrade it by buying a new memory card. "This is an issue which may turn off consumers who don’t have the funds or ability to access outside storage on a consistent basis," Fixya noted. Screen quality and camera quality were two other big issues, with 20% each. The screen quality of the Moto X is not up to par according to Fixya. It is overly bright and has less pixels than other phones. As for the camera, it is also below standard, causing strange shapes to appear on pictures because of its sensor. It also takes distorted and blurry photos because of its automatic focus. The other big problem with the Moto X: 15% said they had trouble with the GPS. 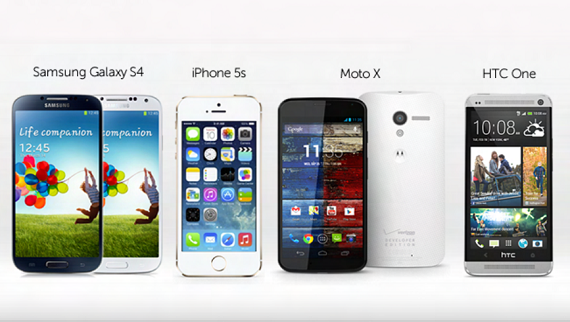 The iPhone 5s is probably the newest phone on this list, having only come out two months ago. But, of course, it does not take long for problems to start to arise. The biggest one is battery life, and I can say from experience that this is one that all iPhones have had. Right now I have an iPhone 4, and an hour on the Pandora app will wipe my battery out by 50%. Apparently battery life is better on the new phones, as you'd hope and expect it to be, but it is still an issue, with 25% citing it. Equally problematic are fingerprint password privacy issues. When the new phone was release, it came with fingerprint sensor. Apple called it Touch ID and it scans the subepidural skin layer to identify the device’s owner. It’s built into the home button, which is made out of sapphire crystal and acts as a lens to focus the sensor on your finger. It can also read multiple finger prints from any orientation. Fixya says that Apple users should not be concerned about this feature, because they do not even have to use it. "Apple stores the fingerprint password on an A7 chip on the actual phone device and does not upload that data to iCloud or share it with any other apps," Fixya wrote. "Furthermore, users are able to forgo using the fingerprint app if they choose to— instead of logging into their device via fingerprints, they can utilize the common numerical code or not choose to implement a password at all." Another big problem with the phone seems to be display size, with 15% of users complaining about this, even though the screen is actually bigger than the one on the iPhone 4s and 5. This is starting to sound familiar: 30% said that their biggest problem with the HTC One is, you guessed is battery life. I get why people complain about this, but it really should not be something that prevents someone from buying a phone. One issue that should be noted in this case though: reports of it taking a long time, up to five hours, to charge. That's probably not typical, though. 20% cited audio issues, which has resulted in users hearing a hissing noise on some calls, and camera quality, which has resulted in oversaturated pictures. Based on these issues, I'd say the iPhone 5s seems like the best bet. Issues with battery life do not concern me too much, since this is an industry-wide problem. The other issues that were reported seem to be minor complaints, one about a feature that works but people just do not like (but which they can turn off) and the other about screen size, even though its actually bigger than previous iPhone models. If you are an Apple hater, it would probably have to be the Samsung Galaxy S4, by process of elimination. Low storage space on the Moto X will mean less apps you can download, and it will eventually wind up slowing down the phone. As for the HTC One, there's no excuse for the phone to have problem with making phone calls. How much more basic can you get than that. When it comes to the S4, overheating would be my biggest concern, with the device apparently becoming too hot to touch if used for a long time. But, like battery life, its becoming a more common issue, though one I've never encountered on my iPhone. 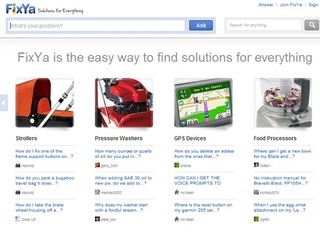 ABOUT FIXYA: FixYa is a community of 9 million members who share, learn and connect over household, tech and consumer support tips. This community of concerned consumers share real world experience and practical tips on more than 6000 brand name retailers. From fixing toasters, to Tivos, to cars, FixYa's community members are part of a DIY revolution that helps empower techies, tinkerers and hobbyists across the globe.